Confused, student LE Raeann Leal looked from one to the other, hoping for an explanation. The story unfolded. “Four years ago, a student knocked on my door. I turned him down,” said Laura. Craig began reading the book in January of this year. When Raeann knocked on their door, he was reading it for the third time. “Why don’t you guys come every six months instead of only once a year?” they pleaded. 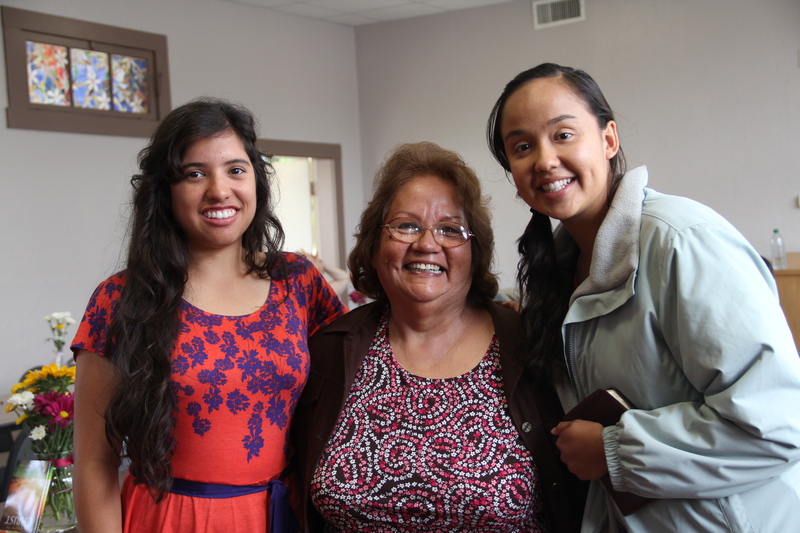 Raeann and Lisa M. offered them Bible studies, and invited them to attend the local Adventist church. The next Sabbath, Laura attended the Salinas church. After the service, she talked with the group of 15 young colporteurs. With students gathered around, the pastor prayed for her. “This is how heaven is going to be like with all these kind of people around you,” she said. Now, her husband comes to church, too.